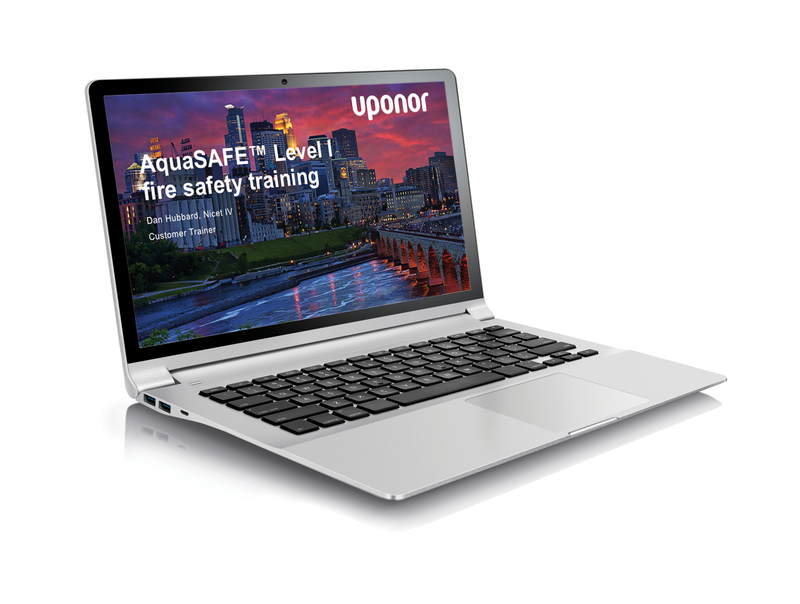 Apple Valley, MN, April 19, 2016 - Uponor North America (Uponor) is making it even easier for plumbing professionals to expand their business into the residential fire sprinkler market by providing online access to AquaSAFE™ Level I training. 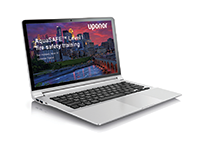 The course, which was previously only available in the classroom at Uponor Academy in Apple Valley, Minn., is now also offered on-demand from the Uponorpro.com website. "We understand it isn’t always easy for busy contractors to travel to our factory for classroom training," says Eric Skare, product manager, Fire Safety at Uponor. "Offering our AquaSAFE Level I training online gives our customers the ability to complete the course on their own time and at their own pace." "Requirements for residential fire sprinklers are continuing to expand across North America," says Skare. "Once plumbers become trained installers for Uponor AquaSAFE, they can go out there and get the business that can differentiate them from their competition." Uponor and AquaSAFE are trademarks of Uponor Corporation and Uponor, Inc.
Uponor AquaSAFE™ Level I training is now available online for licensed plumbers who want to expand their business by installing PEX multipurpose residential fire sprinkler systems.